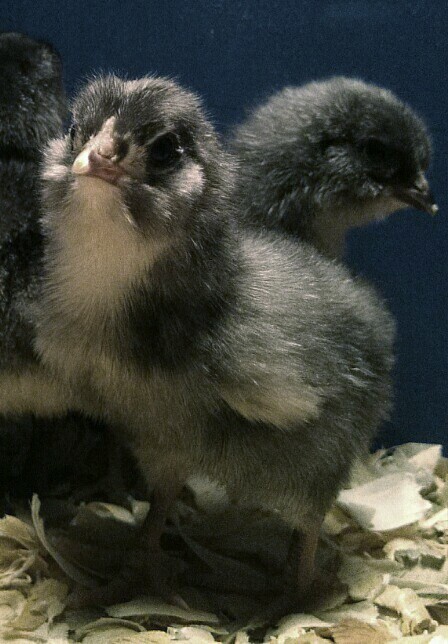 When my mother offered to let me purchase my own chickens, I thought it would be fun to raise my own breed of chickens, and would make a great project for 4H. But as time passed, I let the responsibility for my small flock slide back to my parents. I mean, they were tending the main flock of chickens...what's a few more, right? Then my mom came to me with an idea. Since I'm older and capable of taking on a bigger project, why not expand my flock and take this on as a REAL business venture? I admit I was sceptical. But after some budgeting and planning sessions with Mom, I really think I can do this. 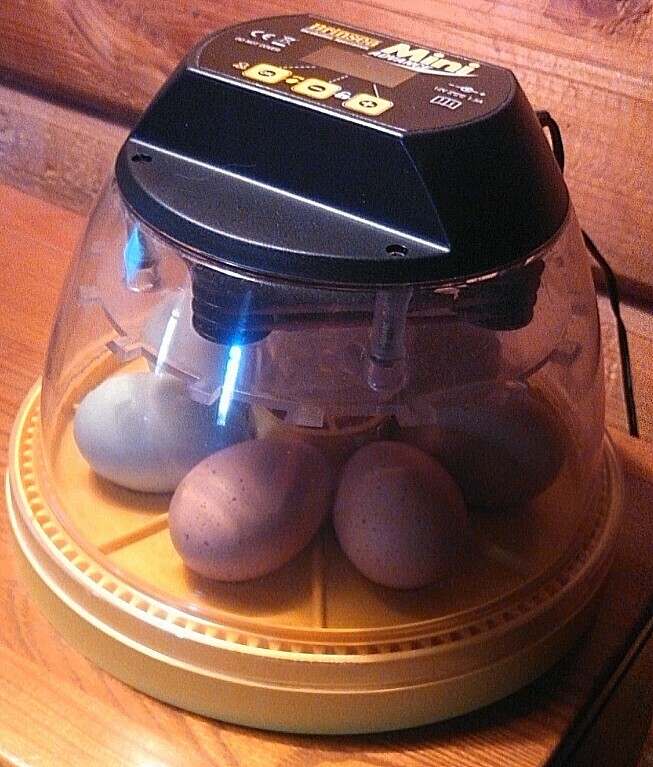 The coops are (mostly) built, my second breed of chicks (Bantam Cochins) are almost ready to lay, and another chick order has been placed for standard-size egg layers. 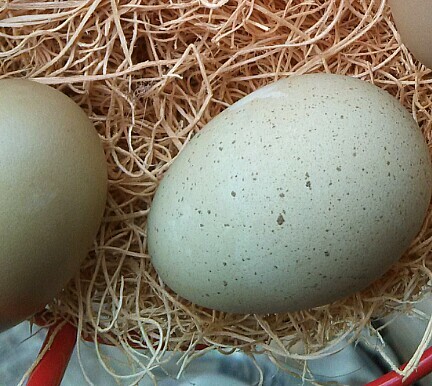 Since we have a liking for a colorful egg basket, we will continue to raise Black Copper Marans, Ameraucanas and Olive Eggers, and will be adding Welsummers, Barred Rocks and Delawares to our flock. 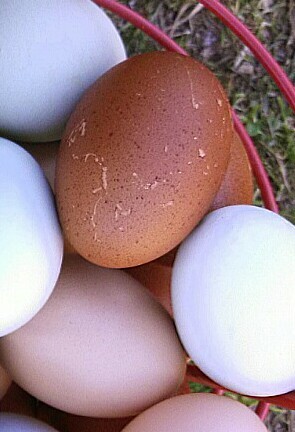 As soon as the coop building is complete, the entire "chicken operation" at James Hill will become mine to handle. It's going to be a big responsibility, but I think I'm up to the challenge! A new year has rang in, and it's time for a fresh new start at James Hill. We started this year with a fresh new look for our soap products that we sell at Serendipity, a local vintage shop in Jonesboro, Louisiana. While we still offer our traditional soap bars, we wanted something a bit more eye-catching and "fancy" for our customers who purchase our product with gift-giving or special occasions in mind. 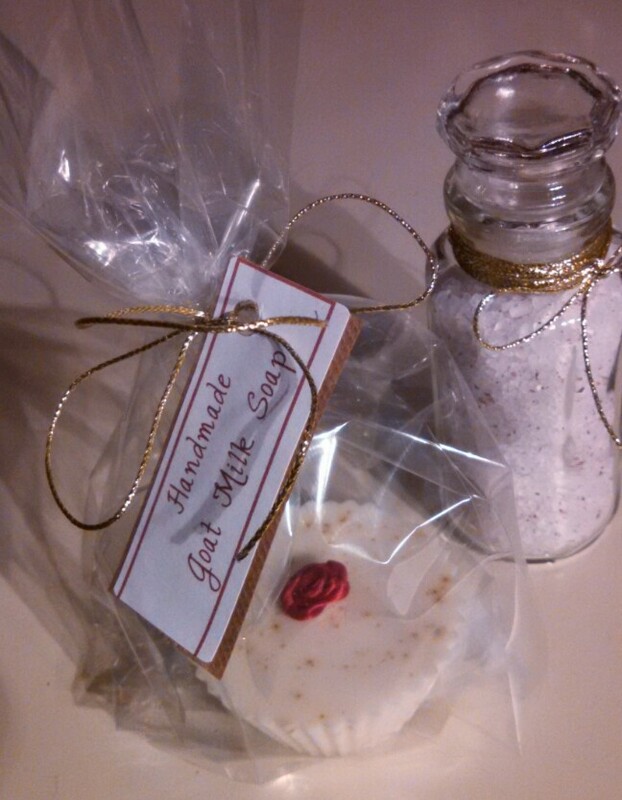 These "soap muffins" are just the right size for sampling or gifting, and the matching bath salts offer a little something special to pamper yourself or someone else. And as always, James Hill uses no artificial colors or scents in the making of our product. Just pure goat milk soap with essential oils, natural colorants, herbs and botanicals. You fellow soap crafters out there will be glad to know that no expensive molds were necessary to achieve this look. We use regular silicon baking cups with our usual cold-process goat milk soap recipe. The soap sets up quickly, and turns out of the silicon easily. We are very pleased with the result. Pretty, don't you think? It's been far too long since we've last posted, and I feel I've fallen out of touch with many of our friends. Seems the chaos of today's world crept sneaking onto James Hill and thoroughly disrupted our quiet life on the farm. Funny, isn't it? The world starts spinning a little faster every day, and you don't notice it right off. An added obligation here, a new responsibility there. One morning you open your eyes to a life spun out of control. Then it's time to shake off the craziness of our "modern" world. To take a moment to enjoy living. To have a cup of coffee and rock on the porch. So friends, come on in. Welcome back to James Hill. 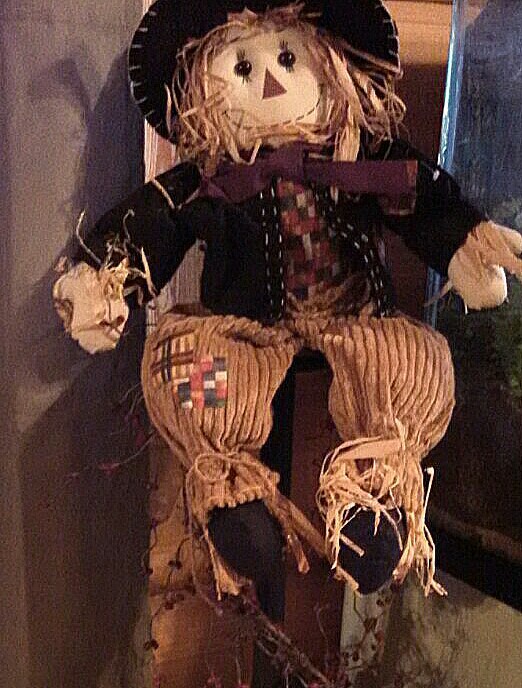 As you might well guess, we here at James Hill are fond of most things old-fashioned...vintage items as well as old-time skills and traditions. And what better way to combine those things than a high tea? Most any occasion (or no occasion at all !) is a great excuse to set the table with our favorite thrift store and flea market finds, and enjoy some good food and quality family time. 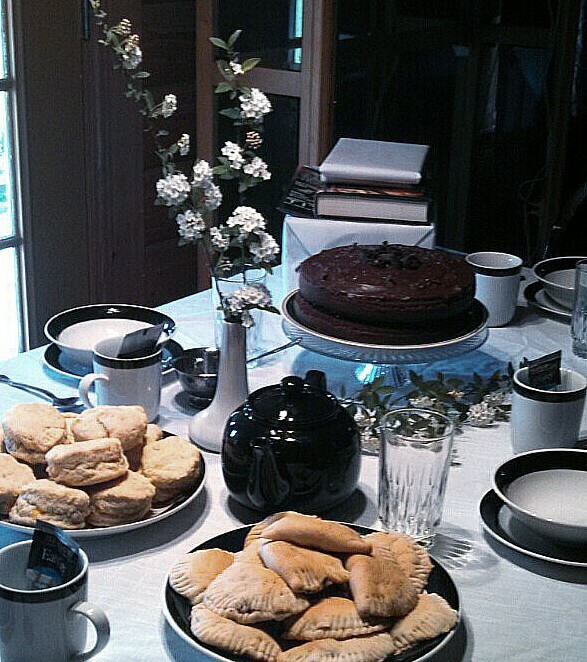 We recently celebrated Colt's 12th birthday with an early "dinner' tea...meat pies, cheddar sage scones, vegetable tray, devil's food cake and Earl Grey tea. The scones are a favorite in our house, whether made with traditional cheddar cheese or with our own homemade goat milk cheese. They are delicious, versatile, and quick and easy to make from scratch. If you would like to try them, I've included the recipe below. 1. Stir dry ingredients together. 2. Work butter into dry ingredients until well crumbled (mixture will resemble corn meal in texture). 4. Make a "well" in center of mixture. 5. Pour small amount of milk into "well" and stir into mixture. Continue to add milk and stir in until dough is soft but not gooey. 6. Form into a rounded shape and turn out onto floured surface. 7. Roll or flatten to a depth of about 3/4 to 1 inch. Cut into 2 inch circles and place on lightly greased cookie sheet. 8. Bake in 350 degree oven until lightly browned (scones will sound "hollow" when tapped with utensil). 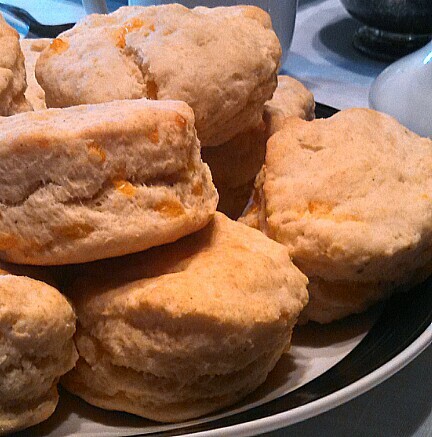 This recipe makes 8-10 scones.These are best served warm, and are great with soups or stews. The basic recipe is very versatile...try adding whole kernel corn, garlic or bacon bits. Or, omit the cheese, dry mustard and sage, add 1 teaspoon powdered sugar and serve with butter and jam for a delicious brunch treat! 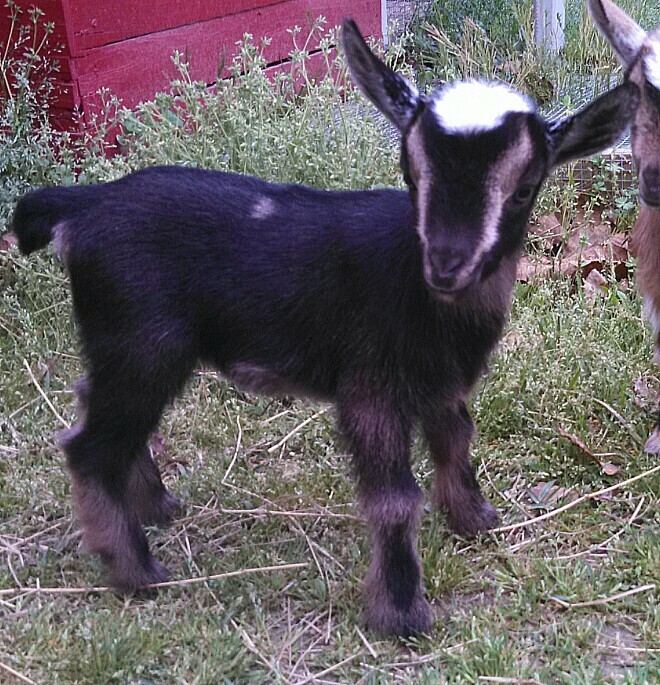 Two doelings from our set of quads. At least three of the doelings will be offered for sale early May. We plan to retain both bucks. (If you are in looking for a handsome young buck, we DO have two yearling bucks who are being offered for sale. Contact us for more information). 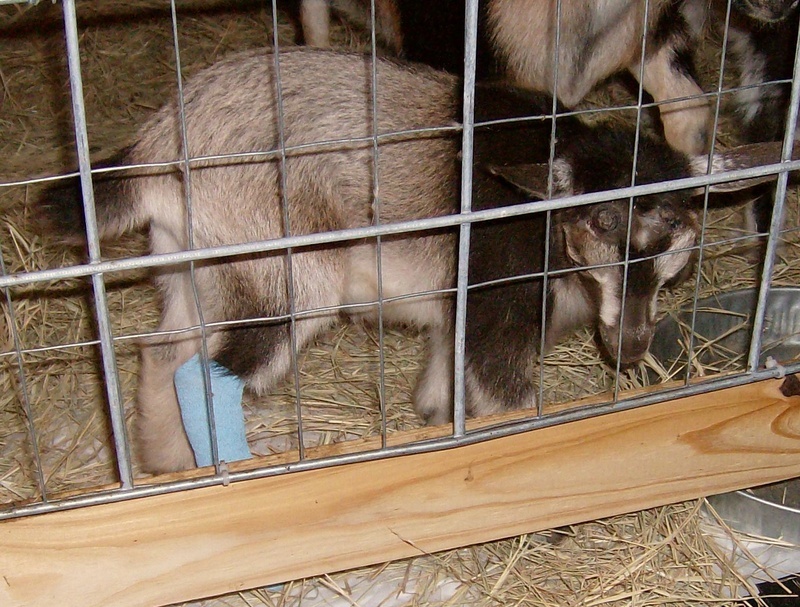 Does anyone remember this poor little doe who broke her leg when she was just weeks old? Her name is James Hill Cinnamon Bun, or "Bunny" to her family (us!). We had several anxious weeks with her then, as the break was completely through the bone of her leg and the splint was minimally effective in keeping it immobilized. At one point it was suggested that the best option might be to put her down, as it seemed her leg was never going to heal. But persistance and time paid off, and the bone healed without any significant deformity and with full mobility of the leg. Bunny is now 2 years old, and she was bred last fall. She was due for her first kidding on March 15th. I worked an extra shift this week at my "real job" on the night of the 12th. I checked on her immediately before I left for work. NO signs of labor, NO change in behaviour. I was confident she still had a couple days to go. Imagine my surprise when hubby called LESS THAN AN HOUR LATER to announce that Bunny had kidded. 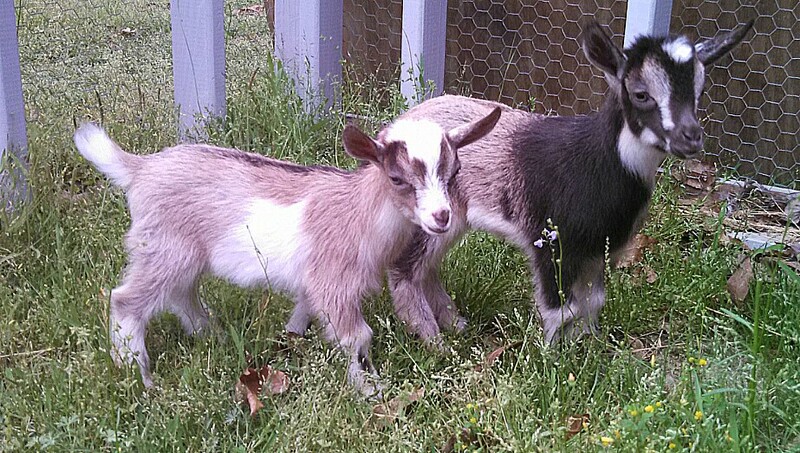 Now I'm the first to admit that I am the goat person in the family, but hubby and son bravely met the challenge of caring for Bunny and her kids. 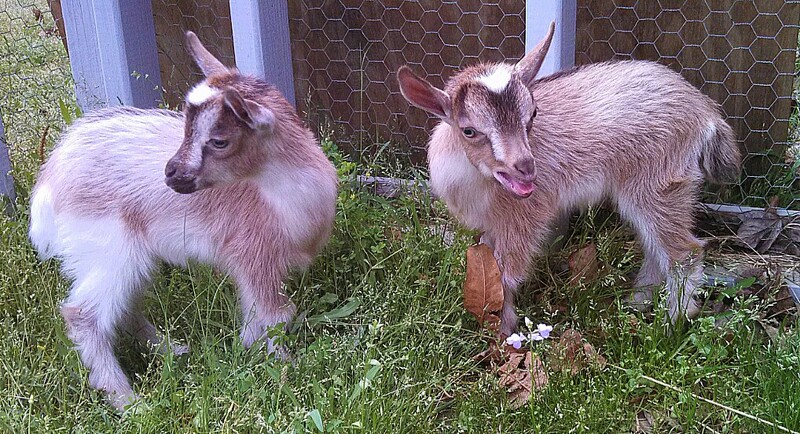 Kids were dried and their umbilical cords dipped in Betadine. Fresh bedding in the kidding pen for dam and kids, a meal and a big fresh bowl of water for Bunny. They did a great job, but it was Bunny who was the star of the day. You see, she paid us back for all the time and worry spent in her early life...she kidded QUADRUPLETS!!! AND they are all DOES!!! 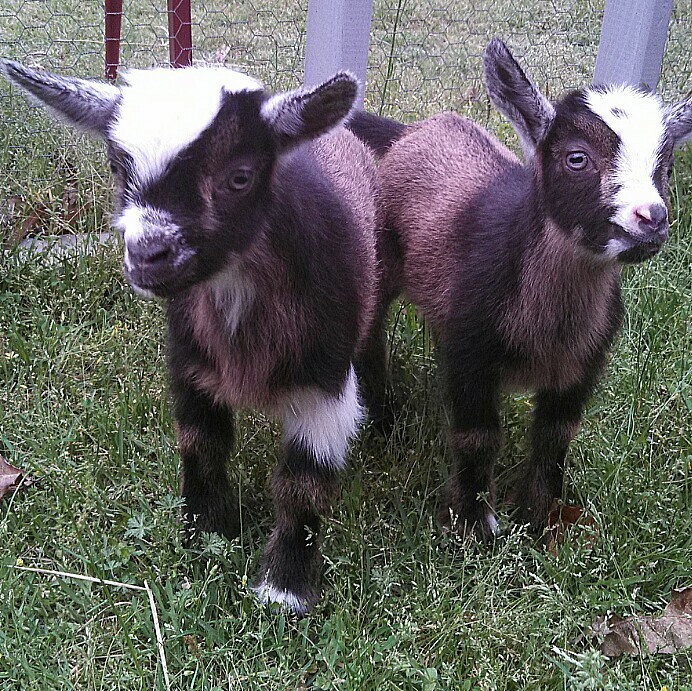 Sweet, adorable babies. 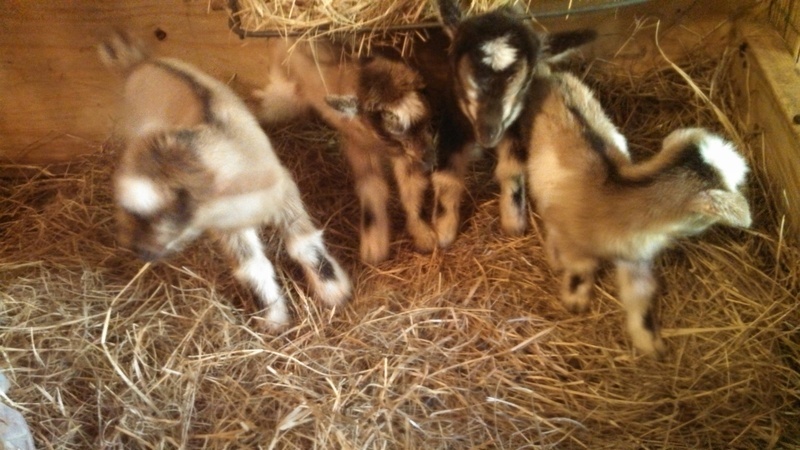 All up and active, all nursing. 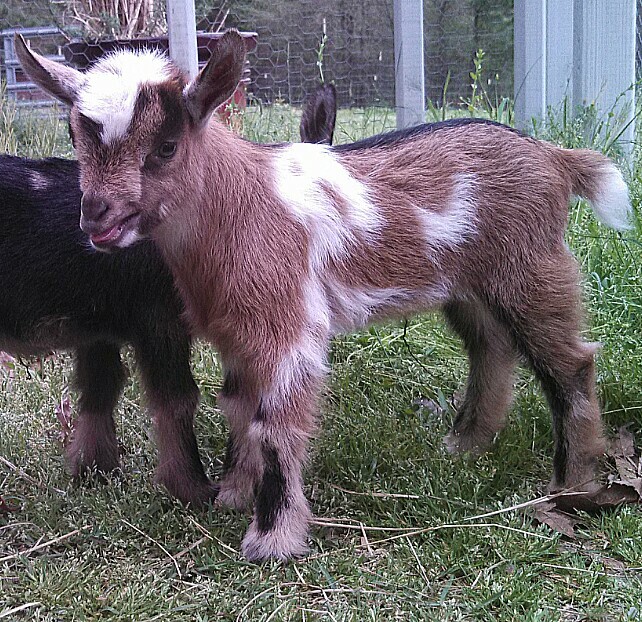 Two of them are a bit small, but should do fine with good care and attention from their dam. Way to go Bunny! Just before I sat down to write this entry, I walked out on the porch to watch it snow. Yes, SNOW!!! For the forth time this winter...in Louisiana. I almost postponed this writing for a later date. But as hard as it is to believe, time is marching on and spring will be here before you know it! With the exception of kidding and harvest time, early Spring is our busiest time here at James Hill. 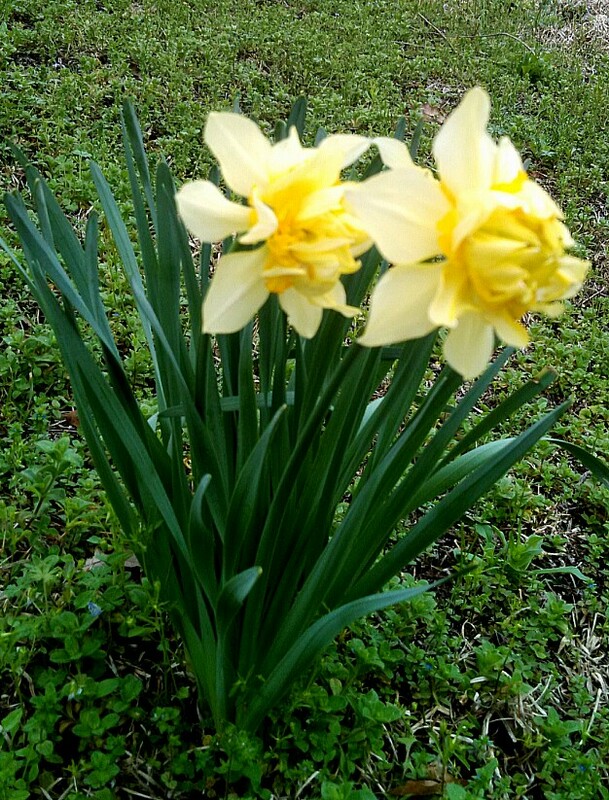 Late February/early March is the ideal time for many Louisiana gardening activities. Fruit and nut-bearing trees need to be planted now, and it's a good time to trim up and fertilize those orchard trees we already have. Potatoes, onions, and that spring crop of greens need to be planted now to take advantage of the season before summer temps get too hot.